The Wisconsin Northwoods' home of Louisiana style cooking - in the words of the restaurant founder, Chef Walter Mazur, "as far north as the South will ever get." Louisiana cooking has its origins in borrowed recipes from varied heritages and cultures. It has been developed and customized by the environment in which it originated - the fertile bayous of Louisiana. 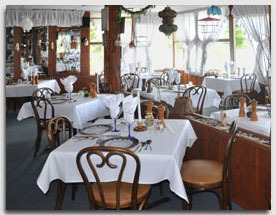 Founded in 1980 by Chef Walter and his wife, Rita, Blue Bayou Inn retains the character, complexity and variety of Creole and Cajun cuisine and New Orleans ambiance which greets your every visit. 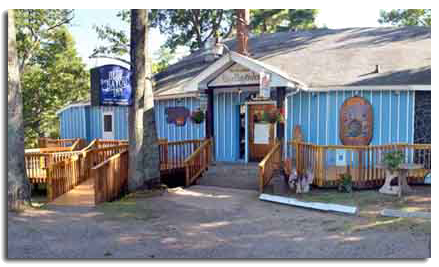 Blue Bayou Inn is located on the shore of Lake Manitowish which is part of the Manitowish Chain of Ten Lakes. The view of the lake from our dining rooms offers a pleasant complement to your dining experience.